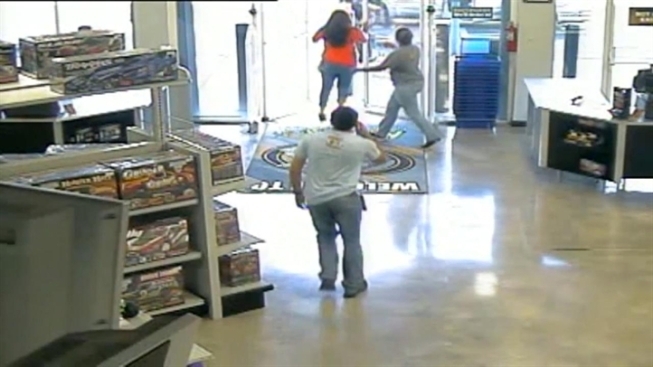 Police are asking for help identifying the man that entered Maniacs Hobby Complex in Plantation on Aug. 12. Police are looking for a man who was caught on surveillance video swiping two radio controlled vehicles from a Plantation store. The man entered Maniacs Hobby Complex on Aug. 12 and made no attempts to pay for the controlled vehicles, which were worth $2,225, police said. Video released by police on Monday shows the man casually walk into the store and walk out with the vehicles under each arm. Employees appear to try to stop him but he brushes past, leaves the store with the stolen items and ran into a waiting vehicle, according to Plantation Police. Authorities are now searching for the man and are asking for the public’s help to identify him. Anyone with information is asked to contact Broward County Crime Stoppers at (954) 493-8477.